I recently got my Etude House Pink Bird box and it contained their new mascara, the Lash Perm Curl Fix! Mascara Long Lash*! This mascara is a combination of their original Lash Perm Curl Fix Mascara and the Dr. Mascara Fixer For Super Long Lash to give you long and defined curled lashes. I have used both products before and so I was super excited to try this mascara out. The Lash Perm Curl Fix! Mascara Long Lash retails for $14.40 on the global Etude House website here and it contains 28 grams of product. If you're new to my blog, I'm part of the Etude House Pink Bird program and that just means that Etude House sends me products for free once a month to review. I usually break it out into 2-3 posts though since I tend to get rambly. 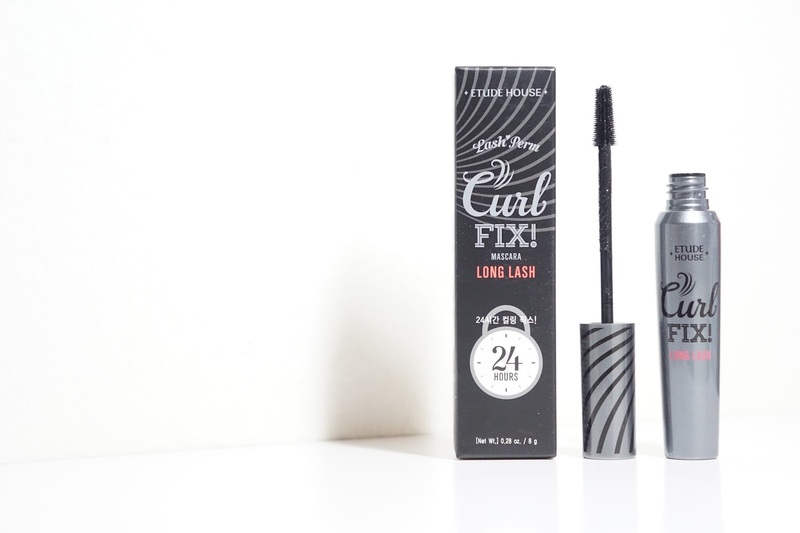 Unlike the original Lash Perm mascara, the brush on the Lash Perm Curl Fix! Mascara Long Lash is more tapered instead of curved. The brush is still short though and that really helps grab every single short lash. 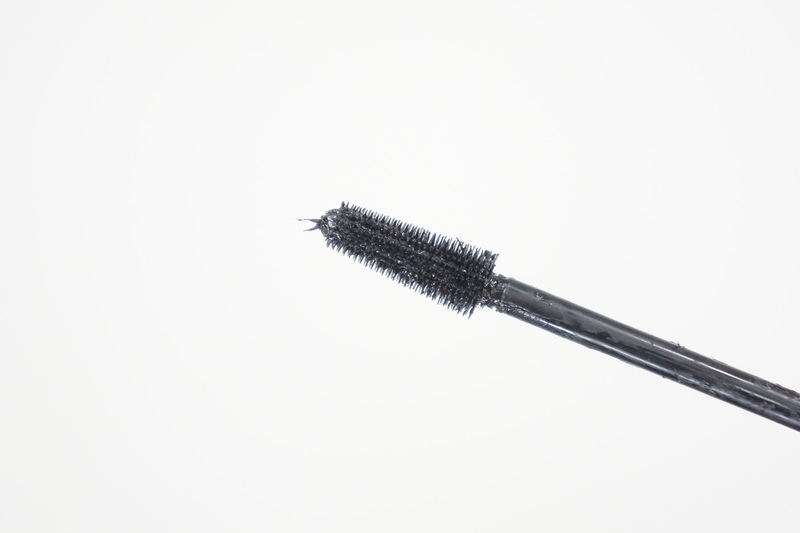 The more you use this mascara, the more the fibers become more apparent though. I think it's because the formula dries a bit with each use and so the fibers end up sticking together a lot more. Compared to the original Lash Perm mascara, the Long Lash version didn't hold my curl as well but compared to Western non-waterproof mascaras, this mascara holds my curl very well! I personally think my lashes straighten out a bit because this mascara is more wet so that the fibers stick better and isn't as clumpy. Speaking of fibers, these are different than the fibers in volumizing mascaras. These fibers aren't fuzzy and instead straight and thin like hair. If you've tried the Etude House Dr. Mascara Fixer Super Long Lash primer, it's like that product but it's not as densely packed with fibers. I have pretty sensitive eyes and so the Curl Fix! Mascara Long Lash worked out better for me. Nothing fell off my lashes or into my eyes and as an occasional contact lens wearer, my eyes didn't feel irritated at all. The fibers and mascara did feel lightweight on my lashes and gave me such natural and fluttery lashes. Etude House recommends applying a layer of the mascara and then focusing on layering more on the tips of the lashes so that the fibers can build on itself to lengthen the lashes. I don't always use this method, but using it like a normal mascara works perfectly fine as well. Final thoughts: It's not my favorite overall mascara, but it is a pretty good one if you're going for natural and fluttery lashes. I prefer more voluminous lashes but that's a personal preference. The Etude House Curl Fix! Mascara Long Lash works perfectly on my no-makeup makeup days and I love that the fibers don't irritate my eyes. The formula also doesn't smear or smudge as well. *This product was sent to me for free as PR samples as part of Etude House's Pink Bird Program. As part of their program, I get sent a box of products each month to review. All opinions are my own and 100% honest.